For some of you the kiddos have already went back to school, we have not. Hudson is not heading off to kindergarten..quite yet…thank goodness, I am not ready for that. My absolute favorite part of the year is fall and back to school. I love the supplies and the change in the weather. To get into the spirit of the season I came across this gem of a recipe. 1.Place an oven rack in the center of the oven. 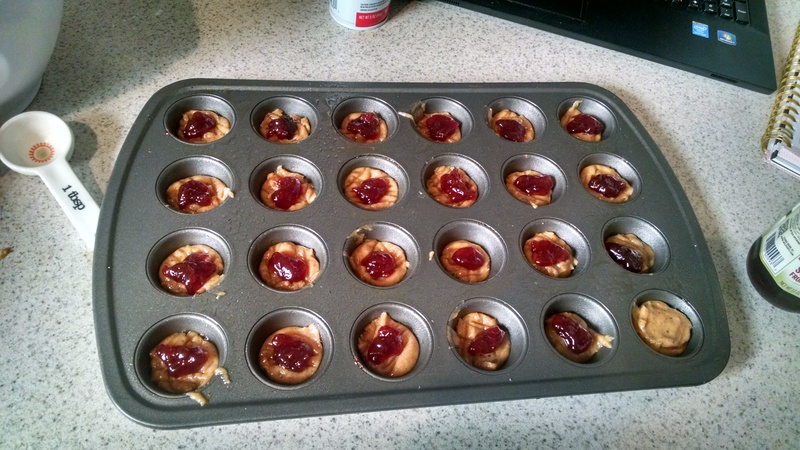 Preheat the oven to 325 degrees F. Line 24 mini-muffin cups with paper liners. 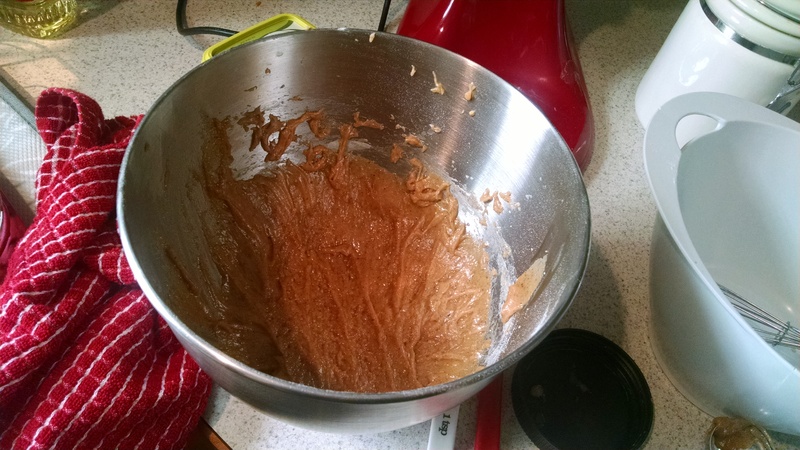 2.Whisk together the flour, baking soda, salt and baking powder in a medium bowl to blend. Whisk together the almond butter, sugar, oil, vanilla and eggs in a large bowl to blend. Add the dry ingredients in 2 batches and stir just until blended. 3.Fill each muffin cup half-full with batter. 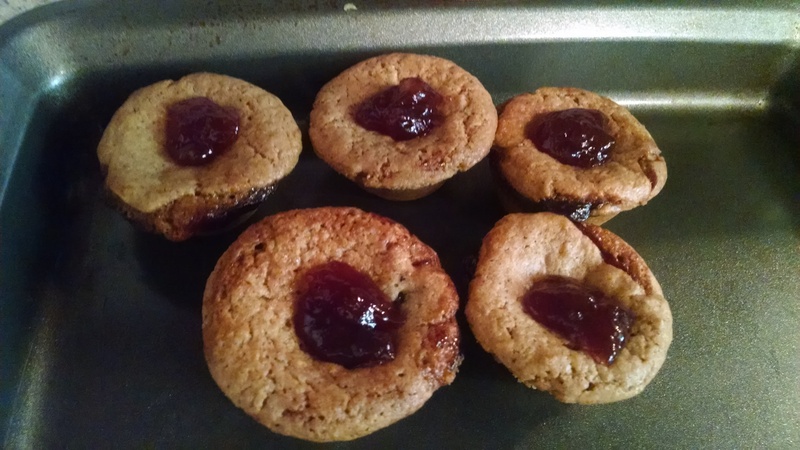 Spoon 1/2 teaspoon of the jam on top of each muffin cup, and then spoon the remaining batter on top to cover the jam. 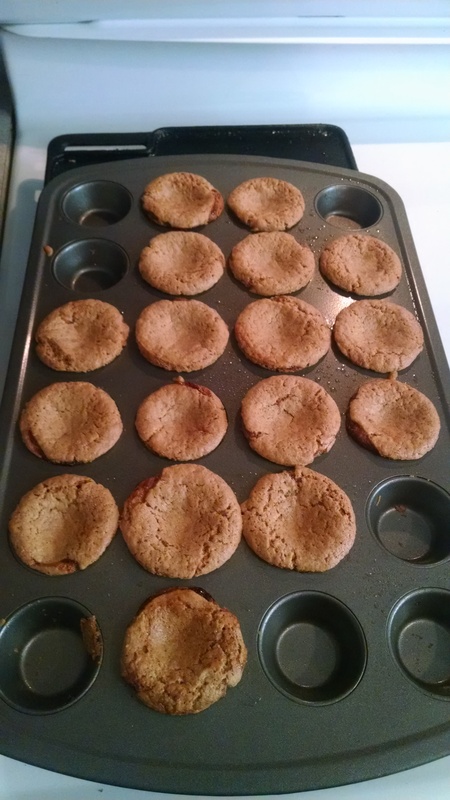 Bake until the tops are golden brown, 25 to 30 minutes. Transfer to a rack and cool. 4.Spoon 1/2 teaspoon more of the jam on top of each muffin in the center. They were kind of a pain and I would recommend spraying your tins A LOT, all of mine got stuck. High Five to me! In the end after all the effort they were delicious and so worth it!